Gestern ist dieses Clean & Simple Kärtchen fertig geworden. 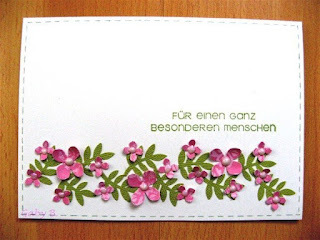 Yesterday this Clean & Simple card got done. Werde mit dieser Karte bei meiner ersten Challenge mitmachen und zwar bei CAS-ual Fridays: Opposites attract. 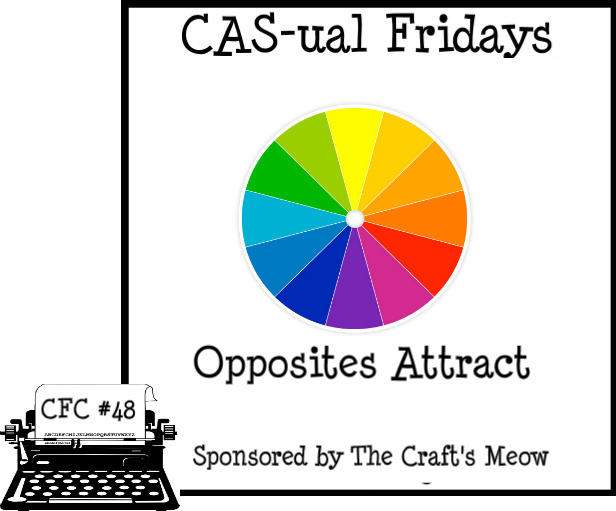 I will enter my first challenge with this card over at CAS-ual Fridays: Opposites attract. Very pretty! Glad you had some fun with us at CAS-ual Fridays! die Karte ist wunderschön. So edel. This is beautiful...love your flowers and the colors are wonderful:)!! This is your first challenge entry??? Wow, what a way to enter with a bang and get people to notice with this beautiful creation! Love the 3-d flowers! Thanks for playing at CAS-ual Fridays this week! This is gorgeous. Truly lovely. Thanks for playing with CAS-ual Fridays! I hope you keep playing with us!